Miles of Live Broadcast cables installed at Ole Miss "The Pavilion" by ESB Group, Inc.
Today, millions of people across the nation will tune in to perhaps the biggest game in the SEC, Alabama Vs. Ole Miss from the Ole Miss Pavilion. Viewers will watch a live program that lasts four hours, but has taken years in the making. What is true for the players and the coaches is just as true behind the scenes. 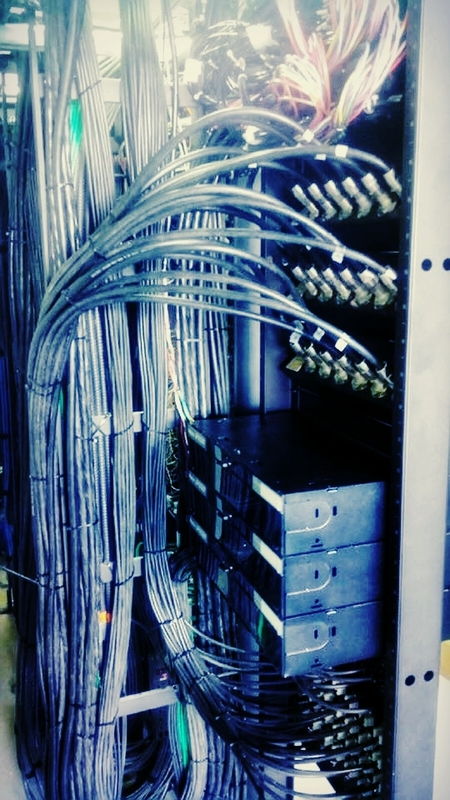 The five miles of custom broadcast cabling installed by ESB Group, Inc. took over a year of planning, design and installation to bring this week's game to the masses. The arena is a new 9,500-seat, multi-purpose building designed by AECOM. Opening game- Ole Miss in the brand new basketball arena, The Pavilion. Audio Installation by ESB Group, Inc.